After reviewing your contract, please submit the corresponding payment below. We look forward to serving you! Per month fee. 3-month contract. 2 accounts. Analytical report of social media engagement at the end of each month. Customer conversion reports also available. NOTE: This service is not available for multilevel marketing accounts. Ever happen upon a Facebook Live from one of your favorite small businesses with horrible lighting, poor sound, and being awkwardly held in someone's shaky hands? 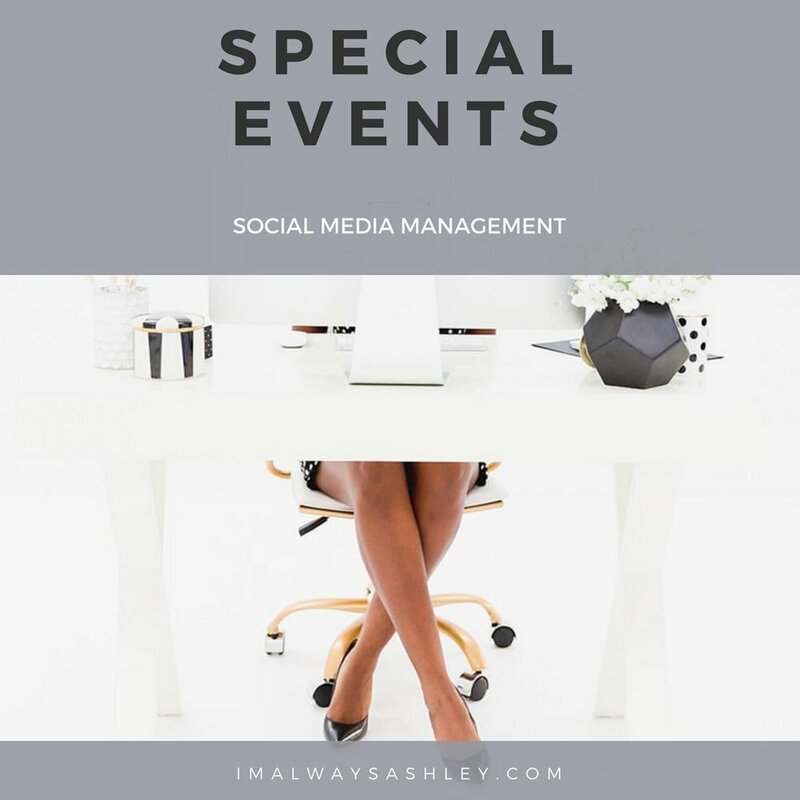 Although social media is now one of the most important tools event planners and marketers can use to promote their upcoming event, many miss the mark when it comes to maintaining a steady social presence while the actual event is taking place. Allowing your audience to experience your company’s events via social media is an excellent way to increase your visibility and engage with customers! However, there is a method to the magic and that I have studied and perfected to make sure your event is a success in person as well as online. Social media marketing is an art form and with the right marketing solution, it can completely transform a business it a very short period of time. Let me and my team come in and take this task off your hands so, you can spend your time at your next event building relationships with your guests while we handle the rest.